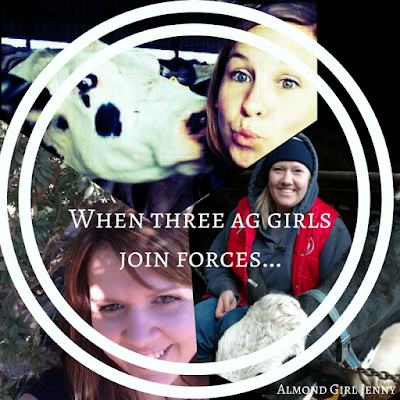 Through this crazy blogging, agvocating, social media world I am always amazed by the young women I meet. We are strong, passionate and hard working women. I love getting to connect with fellow bloggers and get a little insight into other farms. All our farms are different, yet we are all connected via our passion for agriculture and of course the dairy aisle. I am blessed to have met some great ladies and connect with them on a personable level that I wanted to share some of them with you! 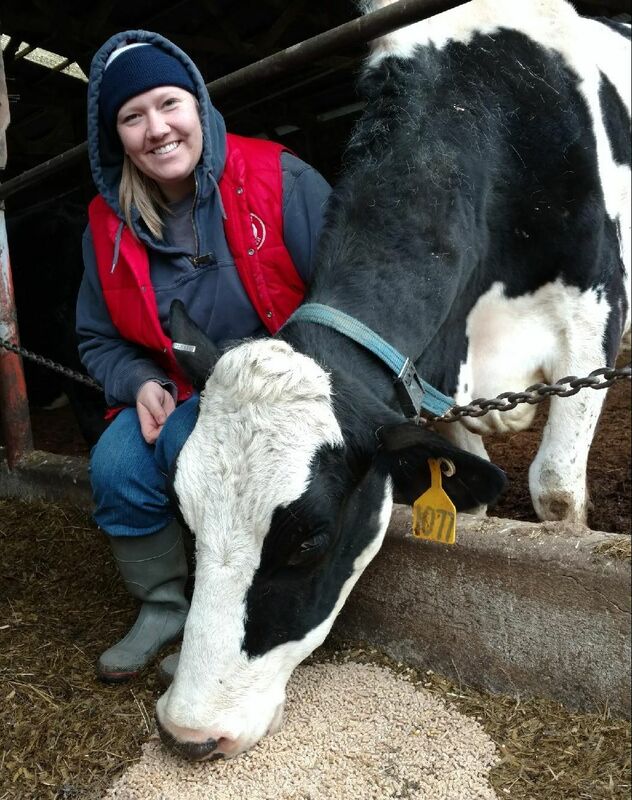 Today, I introduce you to Chelsy, aka Organic Dairy Mama and Nicole, aka Michigan Farm Girl . I grew up in Wisconsin on a 70 cow conventional dairy farm. I was involved every day feeding calves before school and feeding them after practice in the evening. I started showing dairy cows through 4-H when I was 9 years old and fell in love with it. 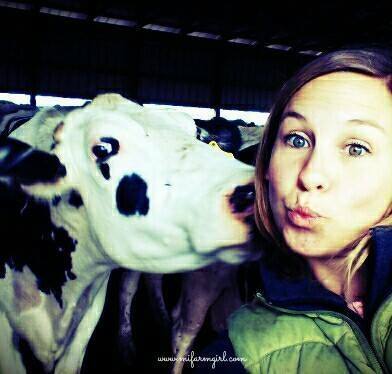 Every summer involved dairy cows and best friends. This is when I really started to appreciate and love dairy farming and knew I wanted to be in the industry even after 4-H and high school. Fast forward a couple years and I met my Farmer, at the National 4-H Dairy Conference nonetheless. He was actually more interested in video games and paintball than thinking about dairy farming at the time. But, I went off to college and he moved to Wisconsin from Washington State for a few years. He eventually moved back to the farm in Washington while I stayed to finish my degree. Every break that I had in college I would make the 2,000 mile trip to see him and the farm; it kept calling me back. I finally earned my Bachelor's Degree in Animal Science, but still didn't know exactly what I wanted to do with my degree. I didn't necessarily want to be "just a dairy farmer" so I worked as a dairy nutritionist for awhile, but it still didn't feel right. I wanted to be involved in the day to day operation on the farm, and that is exactly what I am doing now. 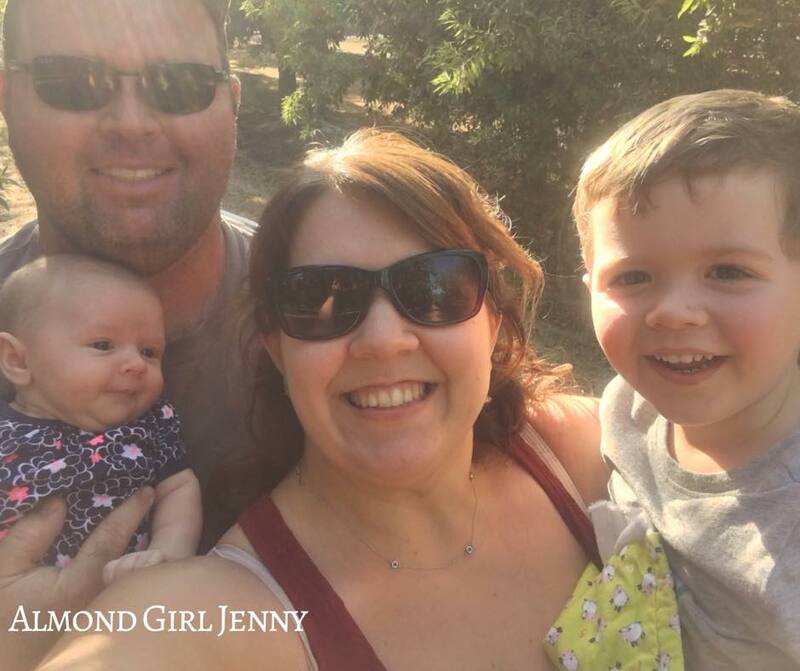 After college, we got married and I made the move to Washington State, and here I am on the farm as a wife, mama to an energetic two-year old, and a dairy farmer and I wouldn't change it for the wold. My name is Nicole and I share my farm story on Michigan Farm Girl. Our dairy farm started in 2008 by my husband and me, completely from scratch - not a Family member on either side having experience with cattle but a very supportive agricultural community. Not only am I big supporter of beginning farmers, I am strongly attached to below average operations. We milk 60-70 cows, own 65 acres on land and rent around 300 acres. In total we care for 165 head of cattle and have two part time workers to help with milking chores. We have a swing 8 parlor and milk our cows twice a day at 6:00a.m. and 6:00p.m. are part of our family they also provide for our family - we care for them and they care for us. We sell our milk to a co-op called Michigan Milk Producers Association; it is picked up daily and hauled to processing plants in lower Michigan. Majority of our product is distributed to brands for ice cream, cream cheese, dry milk, infant formula, and butter. Our co-op also owns a cheese plant in Middlebury, Indiana called Heritage Creamery. and suddenly I cared a whole lot about this industry. Every day I am thankful or the land and the opportunity to raise my animals, watch my children grow, and just be here doing what I feel is right. It's important to me that I remember how much I've learned and help answer questions for consumers who are unfamiliar with modern farming practices. Follow my family farm at ww.mifarmgirl.com, also on Facebook and Instagram at michiganfarmgirl. 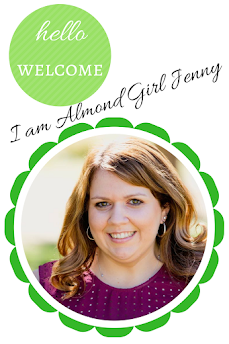 Who is this Almond Girl Jenny??? Sometimes you might need a little refresher on who I am, so here goes! But then I traveled to this small town of Wasco, an agriculture community that didn’t have much else than almonds and roses. It was here that we would start our own future. That almond farmer would become my husband and his family’s farm would become our livelihood. That same work ethic and sense of responsibility is what my husband was also raised on. We are both 4th generation California farmers and are now raising the 5th generation. Today, it’s my three-year-old son and 9-month-old daughter that keep me busy. Chasing them around the farm and watching as they learn about agriculture first hand is so rewarding. When my son wakes up in the morning and asks to go to the farm, I know I am raising him right. I hope that one day our farm is there for him and his sister. 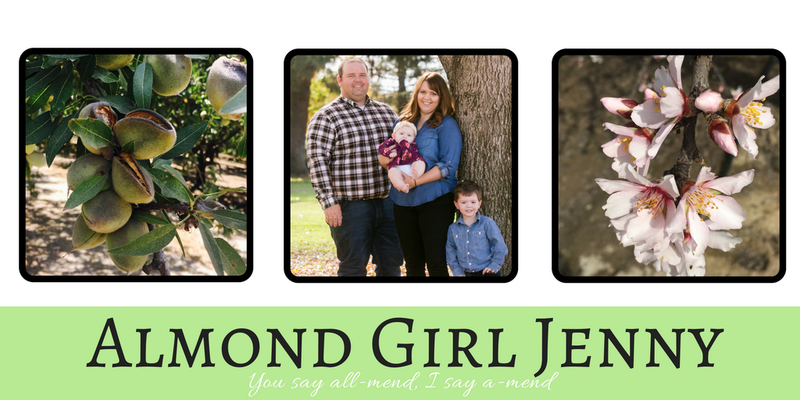 My kids see the fun tractor rides, running through almond blooms, and family meals in the orchards. But they also see the long hours, crazy harvest season, and the frustration when things don’t go as planned. Yet, they still love the farm and enjoy seeing family every day.